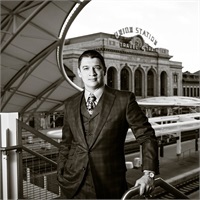 David Prichard is a highly respected, heavily involved Denver-area business leader and community influencer. David serves as the President of Teegarden Financial Corporation, a specialty finance and investment firm that partners with high net worth business owners, families, and executives throughout the country. A serial entrepreneur, David is also a Co-Founder of Lazy Bee Ranch Honey, available on your local Whole Foods shelf, as well as an owner or partner in a variety of other successful ventures including Aqua Terra Culinary, Medovina, several bars and restaurants, and many other exciting ventures as well. He is an active investor in the private equity space around town, and serves on the board for Mountain Valley Grocery. David prides himself on bringing solutions to the table that effectively connect people and resources as they work to turn ideas into reality. David began his business career in the wireless communications industry. In 2006, he made a leap into the insurance and financial services industry and hasn’t looked back since. David has consistently been a Million Dollar Round Table qualifier and achieved Top of the Table level production multiple times. Fewer than 1% of the nation’s insurance agents reach this level of production. David also has a passion for people; spending a lot of time and energy where it really counts. He is an advisory board member for Helping Hands for Freedom, an organization dedicated to supporting military children and families facing difficulties, and Ambassadors of Compassion, a program that equips youth with personal leadership skills. David’s firm Teegarden Financial sponsors a school, where David volunteers as a coach. David is also on the board for the Opportunity Coalition, providing leadership, collaboration and support to help grow businesses and create economic vitality. David moved to Colorado in 2004, he loves spending time with his kids (and all the band, basketball, karate, etc... that goes with that!). In addition to family activities, he loves sports, is an Avalanche season ticket holder, and an avid Broncos fan. The Prichard family loves to travel, ski, and enjoy the Colorado outdoors together.